25 Best Small Business Accounting Software 2019 - Accounting is an inseparable part of any business enterprises which can help the company to see their profit chance or even loss. Either the business is small or big, accounting system that works quickly, reliable, and precise is the real asset for the business. Nowadays, business organizations mainly use accounting software and throw away the old accounting system. With so many options, it would be hard to find best small business accounting software 2019. Accounting software offers solutions like no other manual accounting system. It reduces the costs and possibility of human errors during the process. Thus, accounting software provides more accurate report of business insight. Every type of business can use accounting software. Here’s the top 10 best small business accounting software 2019 that will support your business. 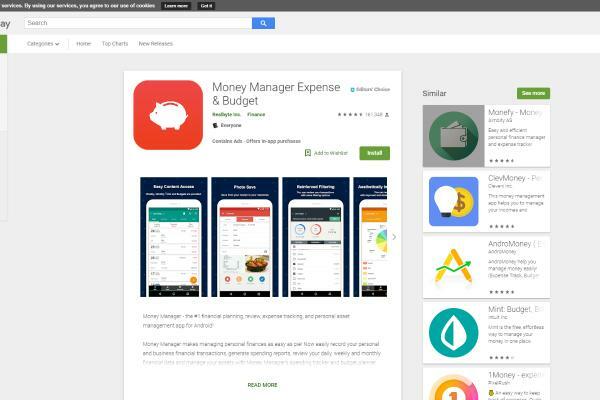 MoneyManager Ex is suitable for small or medium business organizations. It helps the financial management process and requirement reports. It will let you know your business profit or loss, bills due date, how the investments are going and whether your money is wasted or not. The free version is already good enough with compact interface and contain useful features that closely similar to the premium version. You can import your Excel spreadsheets to the Money Manager, but you can’t count your taxes here. Bank deposits or withdrawals are not available and cannot make bills payment. 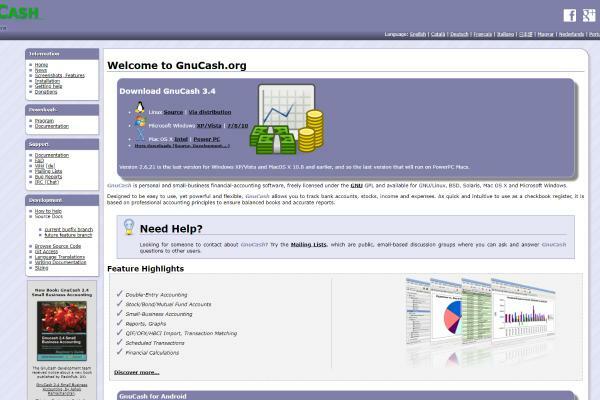 GnuCash is designed to help individual or small business managing their cash flow effectively. GnuCash was established in the late of 1990s and it still survives until these days. It proves they are loved by their users, and it’s not weird because GnuCash truly gives many benefits. You can directly convert your report into a PDF format and it has double-entry books that work perfectly well. It is straightforward and simple but well known for its dull interface. There’s no synchronization between the PC and mobile version, so make sure to manually sync the data. Any freelancers will love Wave for its features. 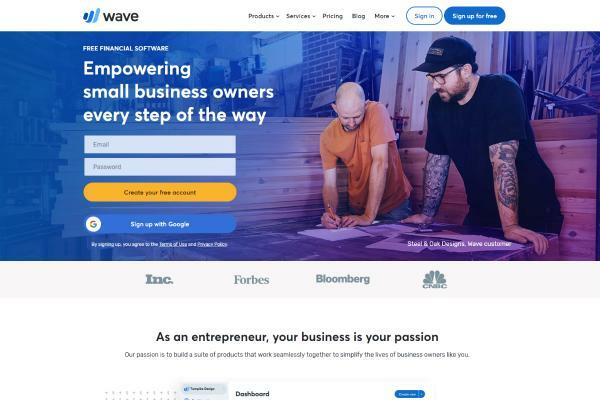 Wave is online-based accounting software that let you make financial report, making receipts, and invoicing. Wave gives you an experience of clean and smooth accounting program, something that other software does not offer. The app setup and operations is easy, thanks to the simple dashboard that infused with everything you need. It allows you to make and send a professional invoice instantly. On the other hand, there’s no feature that let you track all inventories quantity. In addition, you can’t directly make purchase orders and make printed checks for your vendor. Available since 1998, TurboCASH is really a thing in US, Europe, Canada, and Australia. The software is available in more than 20 languages around the world. Your data can be easily imported or exported to other various types such as Word, Email, Spreadsheets, XML, and soon. The data size is quite small so it saves many spaces and easy to be distributed through web or email. It has a huge database for multi-currency and language that makes the translation and configuration process becomes easier. However, some user feels that the features variation only burdens them. There’s no option to hide unused items and it confuses new users. If you are looking for pretty accounting software with beautiful interface, this one is not for you. 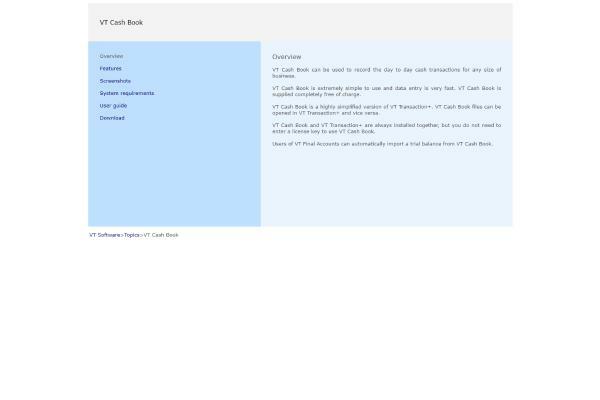 But if you want something sleek and put priority right, then VT Cash Book may be your favorite. It records daily cash transactions with minimum to zero mistakes. The data entry is speeded up using the Autocomplete feature and it supports many bank accounts and reconciliation. Using VAT means you are ready to calculate profit and loss easily. The next best small business accounting software 2019 is NCH Express Invoice. 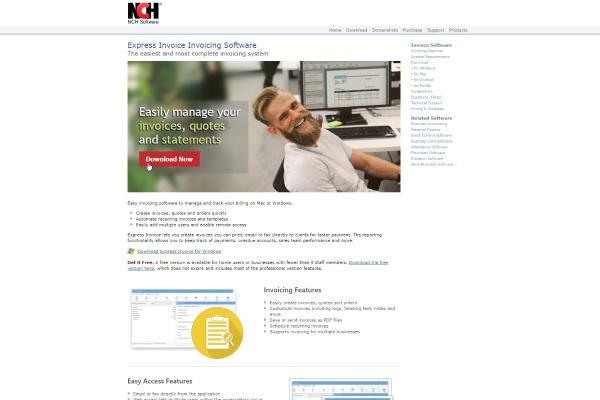 NCH Express Invoice is a great choice if you have a business with fewer than five staffs. In such condition, NHC will let you use all features with no limitations or restrictions. 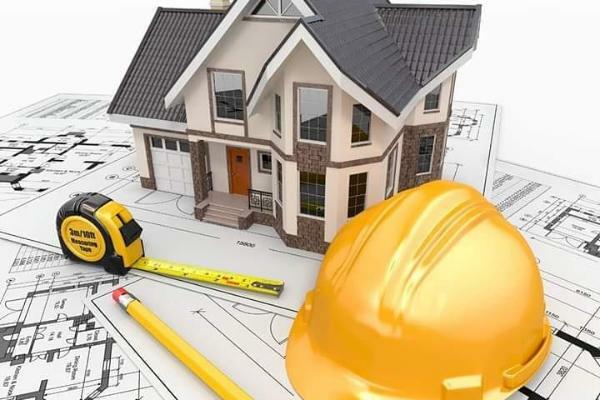 The software designs a professional looking invoice that can be directly sent to customers. This user friendly software works well on customizing almost every part of invoice, including heading, notes, or logos. All profits, losses, and payments can be easily tracked here and you can export all the information in PDF version. However, NCH is not yet a web based program and it lacks some advanced feature that usually appear on similar accounting software. Also, there’s no available mobile version for this program. It is hard to find genuine free software. Most of free software has time limitation or reduced features compared to the premium one. But it won’t happen in Adminsoft Acccount software. The software really offers a free product that can be used for free forever and ever with useful features. You don’t need to be an accounting bachelor to understand how the program works, because it’s super easy. Handle any invoice and stock control directly through the software. It even allows you to purchase order and do some HR jobs too. Unfortunately, some users report that they experience some lags inside the apps. So, make sure to always stay update your software. It is not so hard for Invoice Expert to be qualified as the best small business accounting software 2019. 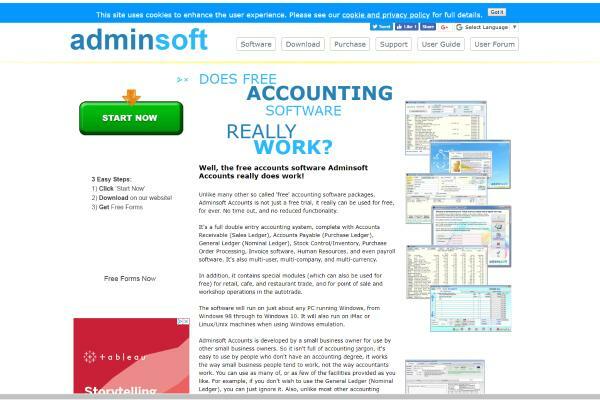 It works fast and offers simplicity for a professional accounting duty. Tax can be established as you set up you company data, and the taxes will automatically be added to your invoice and products. The software may look a little bit intimidating at the first glance, but actually it’s quite straightforward. Some features are restricted from the free version and you need to input all information manually. Sometimes you find that most of accounting programs are too complicated, especially if your requirements are not that complex. For some kind of business, all they need is a single spreadsheet and Apache Open Office understands this demand of simple accounting program. 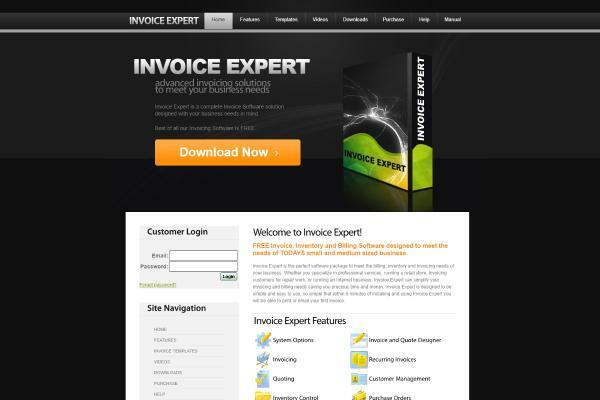 It contains large templates library that can be used for many business tasks, such as invoice. As the simplicity of this program suggest, you will find Apache won’t suit for more advanced tasks. 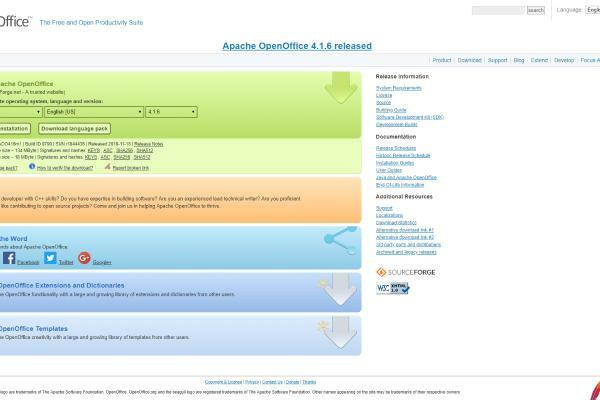 But if you only need a quick and light accounting program then go for Apache OpenOffice. QuickFile is a cloud and web based program. The program design is not something that you will find interesting – but it’s still okay. They have a very long list of options and it takes some time to get familiar with all 57 menu items. They offer standard features like making invoice, managing purchase receipt, multi-currency, and quotations. 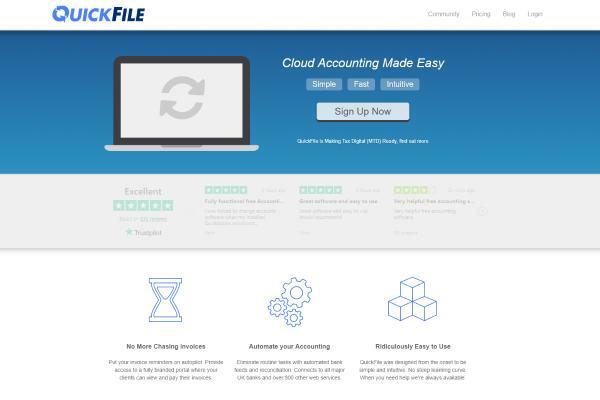 QuickFile claims they are suitable for small business, even for the non-accountants. However, entering transactions information to the bank feels so slow. Creating and sending invoice for the customers can be tricky but sure you can work it out. That is the wrap up for the top ten best small business accounting software 2019.All programs have their own expertise and distinction and it’s your job to find the perfect one that suits your business needs. It’s all free, so trying every program to figure out the best one won’t hurt your wallet. 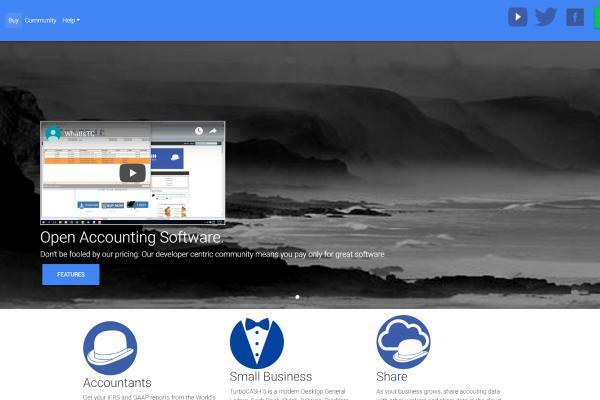 Thoughts on "25 Best Small Business Accounting Software 2019"